Owning high technical standards, Zhang Jike and Ma Long are considered to be two of the world's best players. It makes them strong rivals in the arena but despite the competition, they don't lose their respect for each other. Zhang Jike said in an interview that what he has achieved in his career has a big connection to Ma Long. Zhang Jike and Ma Long are labelled to be the strongest rivals. They possess unique and strong techniques in the sport, both of them are being compared constantly. On the occasions when they encounter each other in the international arena, Ma Long has won most of the time. 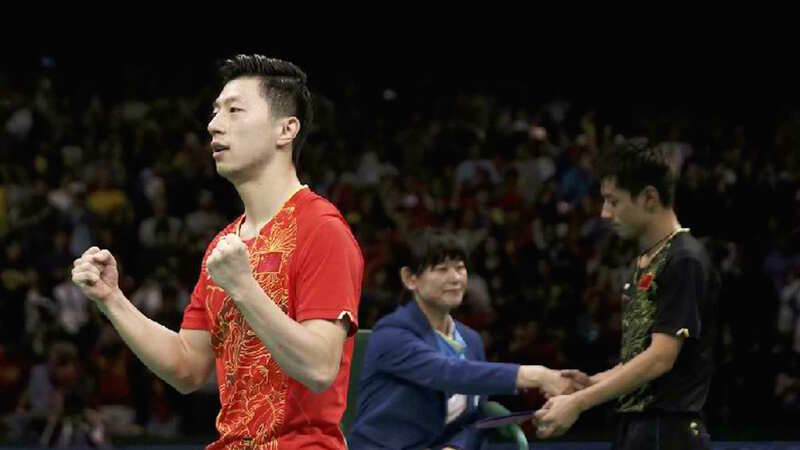 The Rio 2016 Olympic Games Men’s Singles final is their most recent battle; Ma Long won in four games (14-12, 11-5, 11-4, 11-4). On the other hand, Zhang Jike also has his own highlight match against Ma Long; that is of course the Liebherr 2014 Men’s World Cup where Zhang Jike certainly attracted the spotlight. Zhang Jike overcame Ma Long in seven games (8-11, 11-4, 13-11, 7-11, 2-11, 11-5, 12-10). “Each of us has this certain period. Sometimes I am a little better. Sometimes he is a little better. Perhaps we mirror each other.” Ma Long commented. Zhang Jike completed his Grand Slam feat faster than any player in the world. To be exact, he won the World Championships, World Cup and the Olympic Games in just 445 days; this achievement, with other victories, are perceived to have a big relationship to Ma Long. Ma Long and Zhang Jike can be the fiercest of rivals in the arena but two things will always stay the same. They are teammates and friends. As for Ma Long, Zhang Jike is also worthy of respect. For him an opponent who will make him determined in any competition is respectable. “Going all the way to invest is the greatest respect for the opponent.” Ma Long concluded.